A little art, to beat the post-Olympic blues. Anyone who has spent a happy afternoon wandering around Oslo will avoid only with difficulty developing an interest in Edvard Munch. This most famous of Norwegians may have spent much of his twenties and thirties overseas, but the capital was where he was born and grew up and returned to, and the wonderful soft light of the city was surely an influence on him. I’ve been lucky enough to visit a few times, and have been to see some of his works up close. 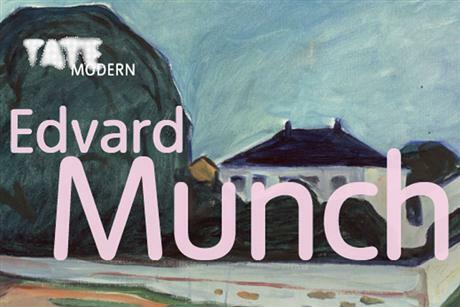 Time is running out to see Edvard Munch: the Modern Eye, which finishes its run at London’s Tate Modern on October 14. The Hall clan attended today – and can report that the real interest in the exhibition is beyond the familiar works but in the wide perspective the show takes of his career. Painting and portraiture is here, but photography and more abstract works such as those interpreting what he could see through his right eye, post haemorrhage. There is, boldly either by design or necessity, no The Scream here, and in many ways the show is better for it. With the blockbuster absent from this big-ticket exhibition the rest of Munch’s work can breathe a little. To be recommended.